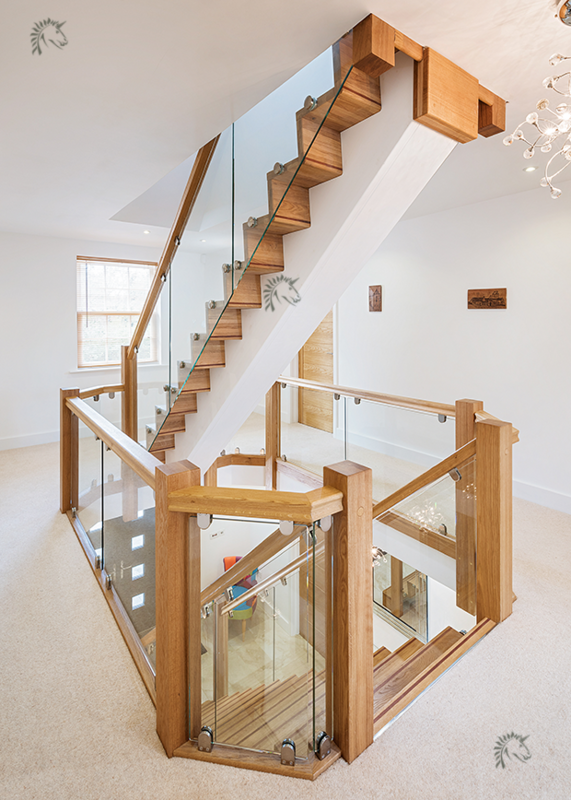 The Z-Vision Staircase can be seen here as a central feature staircase. 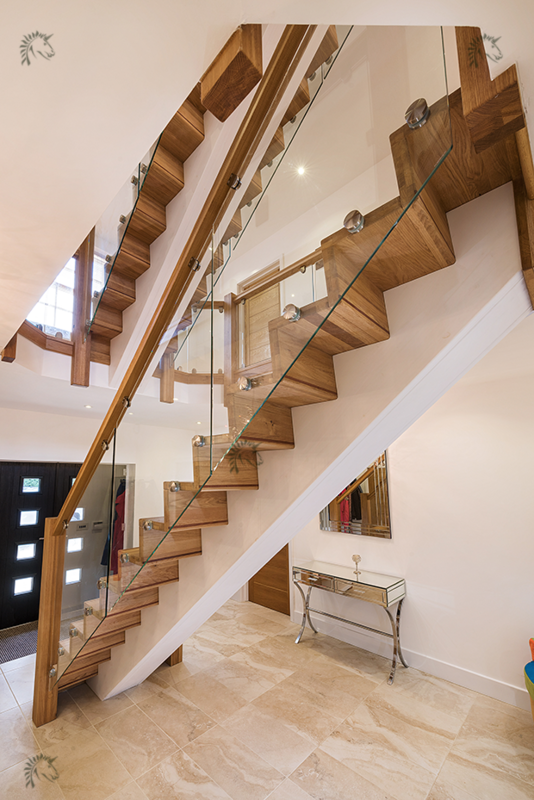 Ideal as a central staircase with its contemporary central spine design, Glass Balustrades to both sides, shown here with the double SQ bullnose entry step. Dark hardwood inlays. 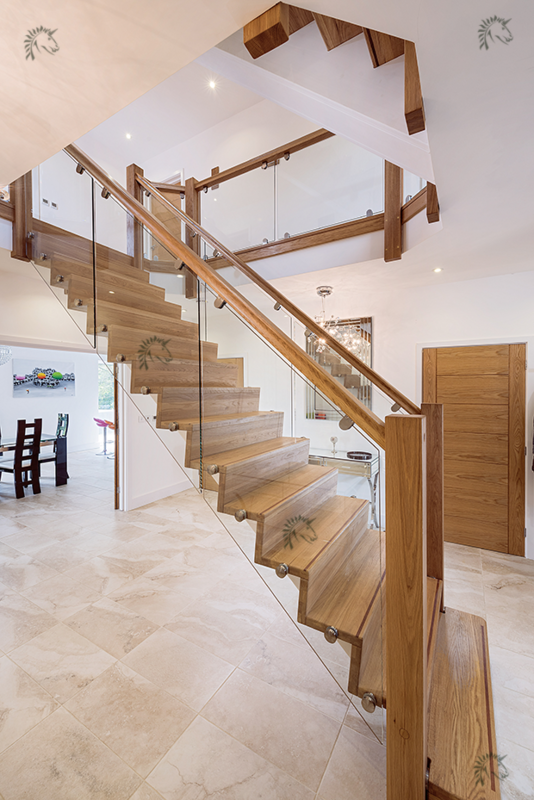 On this project we have a staircase Ground to First Floor and a second staircase above going from the First floor to the Second floor. the Central spine is constructed from Edgelam engineered pine which is seen here painted white. 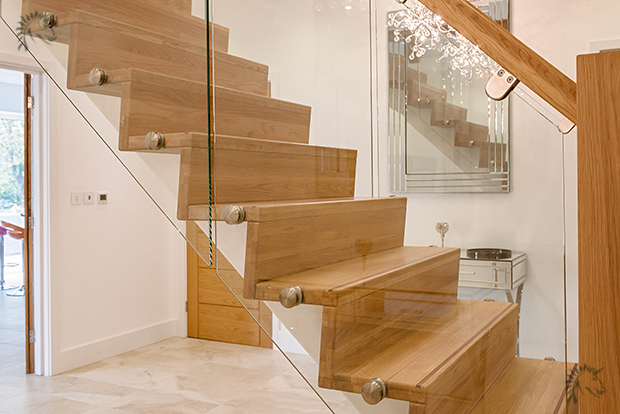 Z-Vision stair treads and risers are a 40mm EdgeLam construction, this ensures to structure and stability of the treads and risers for the long term. 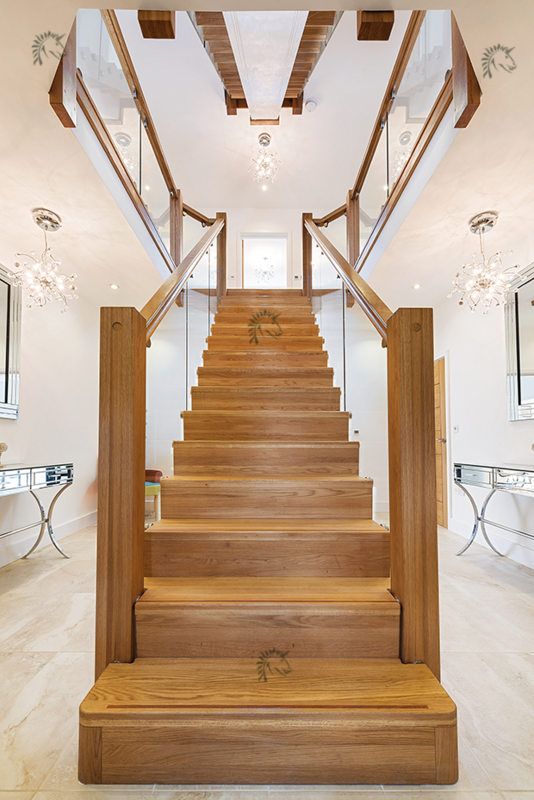 From this view you can appreciate the Z-Vision staircase is a feature from all angles a ideal solution for a grand contemporary central featue staircase. 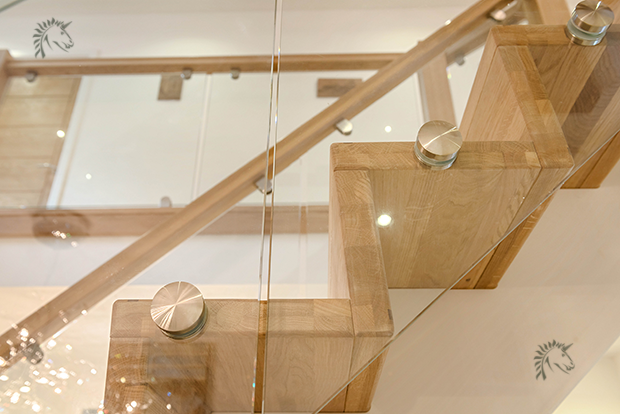 The oak and glass Vision Glass balustrade continues around the stairwell to link to the staircase above. 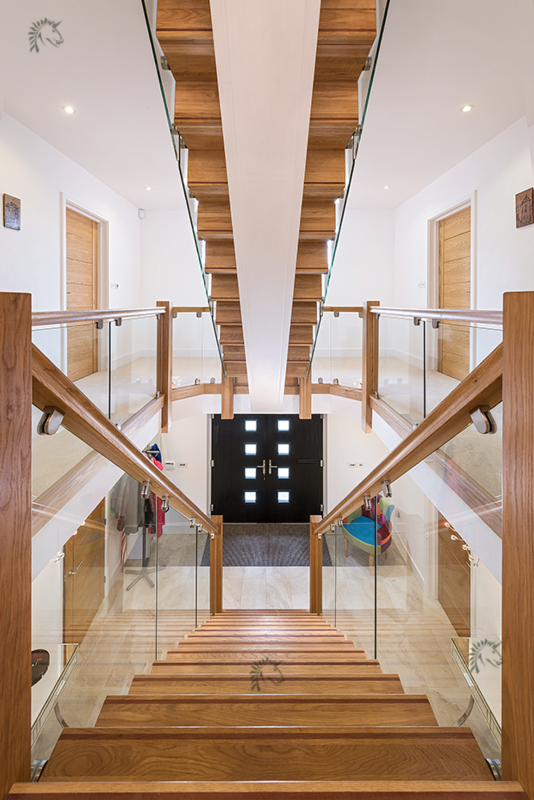 a view from the underside of the first to second floor staircase and looking down the main entrance staircase. 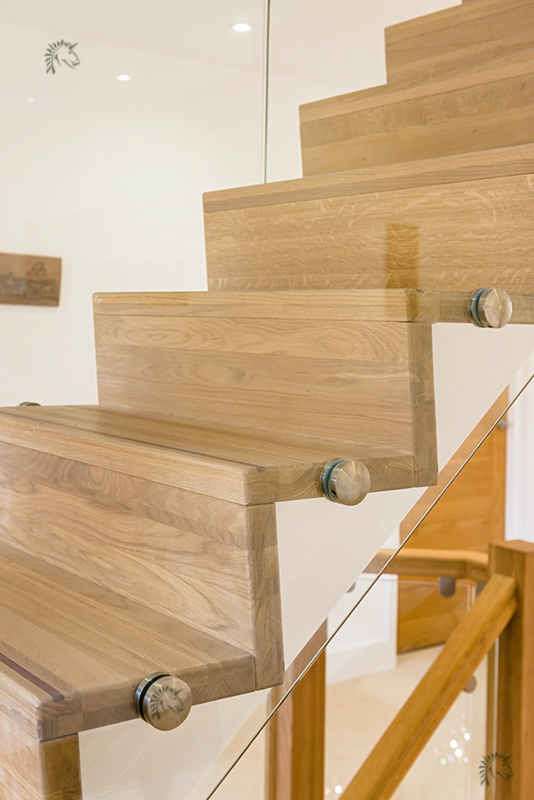 A closer look at the Z-Vision staircase construction detail. 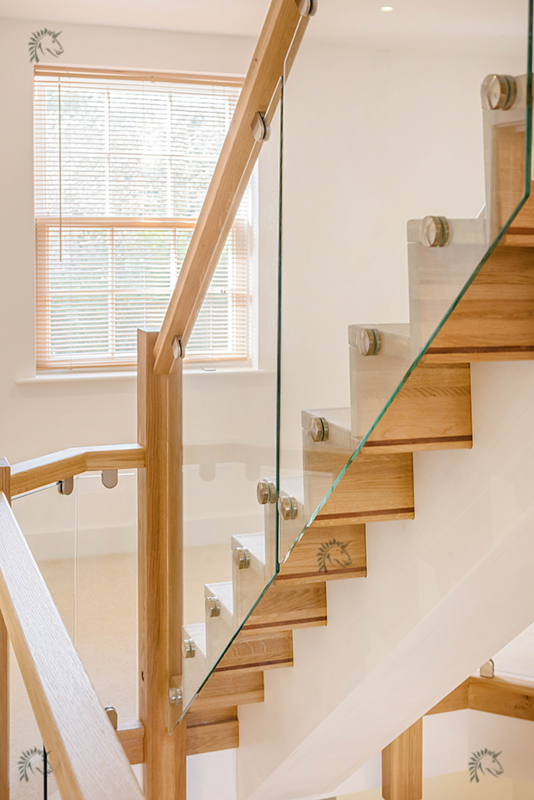 We also offer a stepped glass detail where the glass sits above the stair treads. 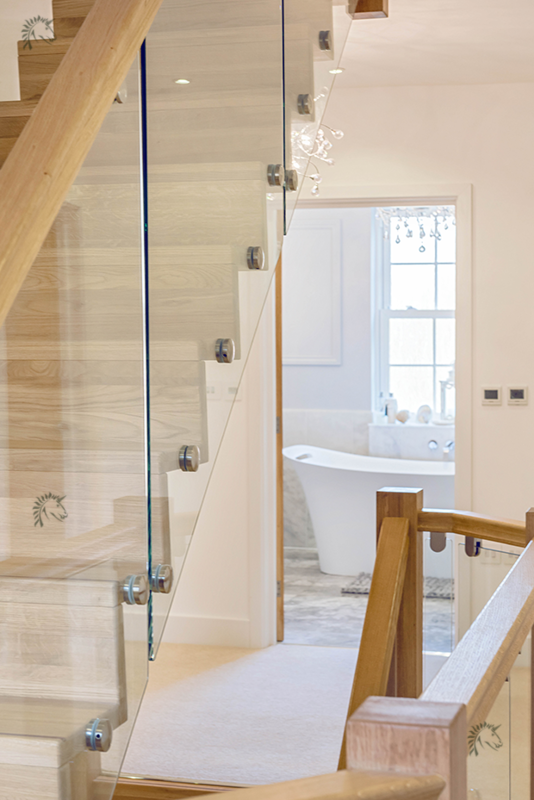 The round glass fixings are our XV-Brac glass button fixings. 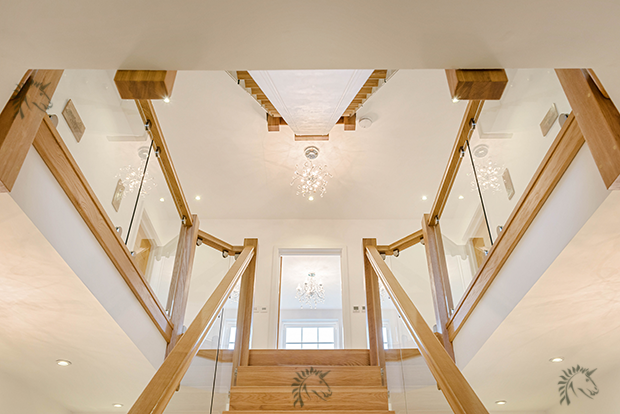 EdgeLam oak and Riser stair treads. 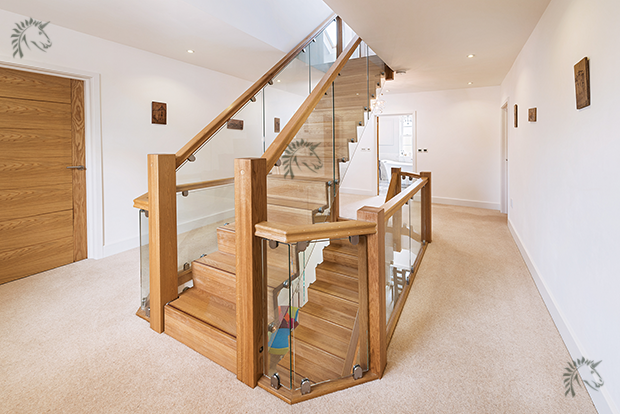 Select oak grade, EdgeLam construction stair treads and handrail balustrade components.